You can see the relatively large priming handle, as well as the sizable grip; users of any size can handle the blaster with comfort. The trigger level is a bit awkward, since you're using your palm to push it down, but with use it becomes second nature. 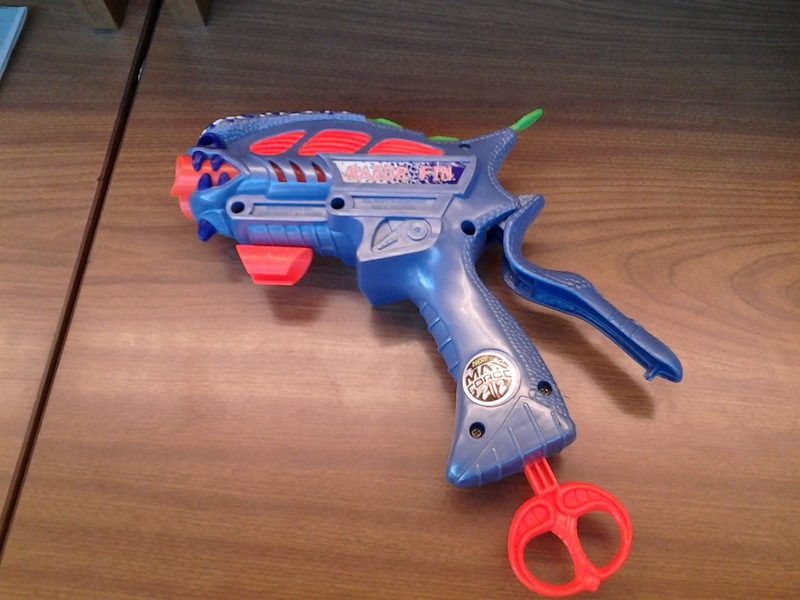 Also notice that the fins rise up when you hold the trigger down, but before you push it all the way in. Upon opening the shell, you can see the little pieces that make this work. 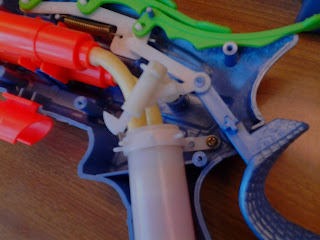 There is a normal catch for the plunger rod, and two tubes go from the end of the plunger tube to the barrels. 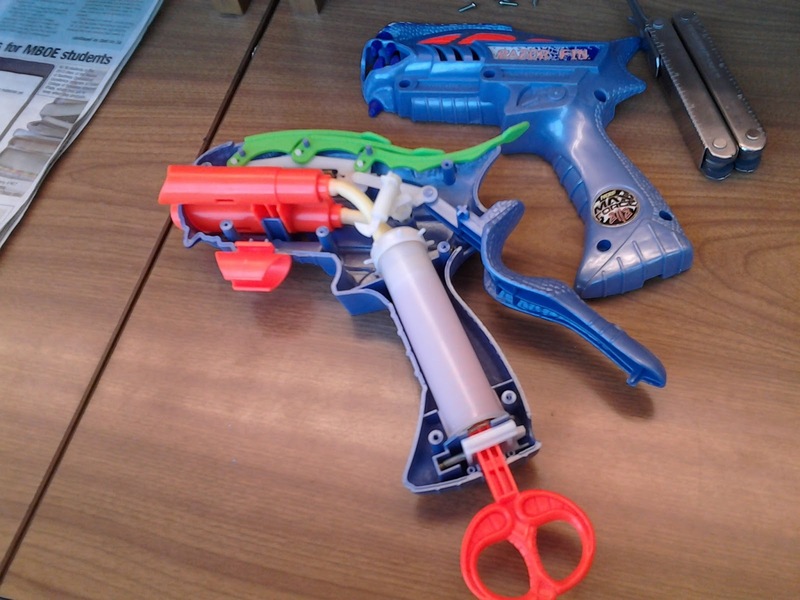 The most interesting part is the action at the top of the blaster - in addition to popping up the fins, the trigger also activates a ratchet of sorts. The "gear" that it turns is a plastic disc with holes on the inside - when it turns, a different barrel is connected to the plunger. This is how the blaster only fires one dart at a time. 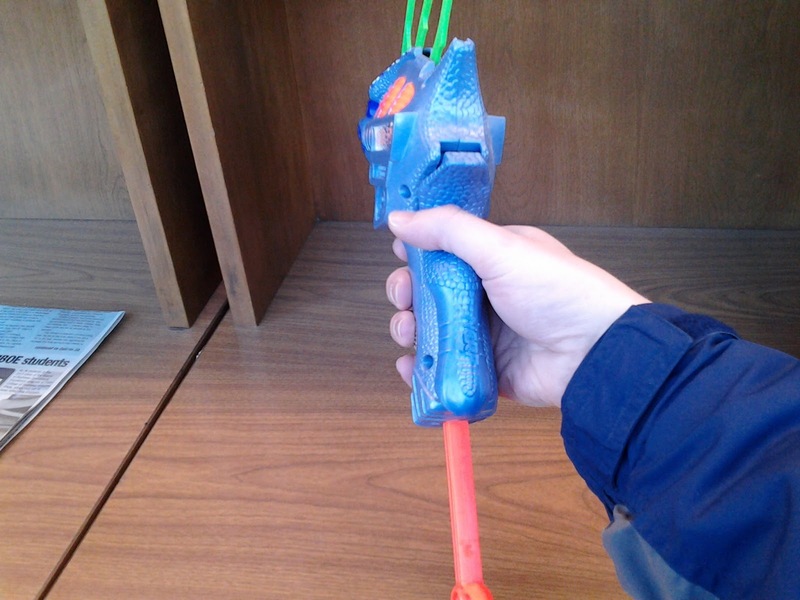 With those fins it can make a good borderlands styled blaster!